On the heels of that not-fun post about the studio, I do have some exciting news to share! As I'm sure you have noticed, there has been a mystery logo in the left sidebar that says News Wedding Photographers. 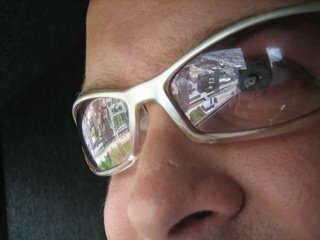 It's a project I have been working on since May! If you click on that link it will actually take you to a website now! These days, photojournalism is a very popular style of wedding photography and it can be confusing to inquiring brides and grooms to know who is legit and who is imitating the professionals. 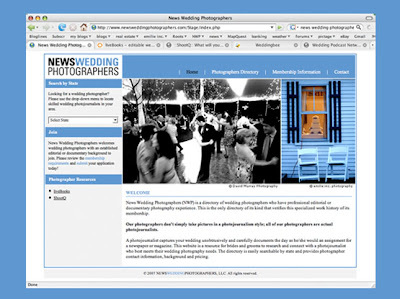 News Wedding Photographers is a directory of wedding photographers who have a background in news photography, like myself. I am announcing NWP's launch here first, and will be sending out an email campaign to industry colleagues within the next few days! Please pass the word if you know a photographer who meets the requirements! You are one busy lady! But I couldn't imagine anyone more qualified to lead this group :) skills and personality, congrats! sweet! what a great idea!!! There is already some amazing talent on there! This is so cool, Em. I can't wait to hear how it takes off.